a small commission will be earned to help support this website. You will NOT pay any more or any less. Save your Lungs... Mirka Deros... The BEST Dust Control Sanders, bar none! Look at the Amazon "Kindle Touch too!"! 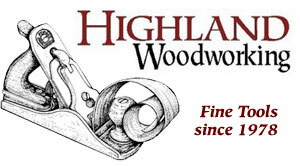 Wood Slicer... 1/2" The Best Resaw Blade for the Money! An effective, inexpensive way to maintain the edge on your valuable tools!.. Easily remove multiple layers of paint, urethane, acrylic, epoxy or enamel without the back-breaking work of sanding and chiseling � and without the odor of other furniture strippers! Made with 100% A.. Hundreds of applications! Precision ball bearing system delivers years of quiet operation and extremely smooth rotations at the touch of a finger. Recessing drops this 5/16'' thick hardware to barely ..
With their convenient foot-activated locking levers, these casters go from gliding effortlessly across your shop, to staying firmly in place for machining operations. The levers lock out both the rolling action and the swiveling action, creating a rigid, stable work surface anywhere in your shop. 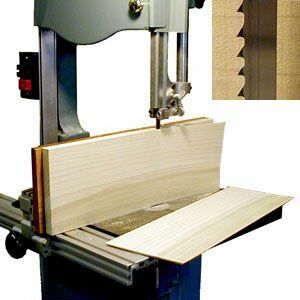 Ideal for router table stands, workstations, shop carts, mobile workbenches and more. Self-centering bits feature a hex collar that allows for use with the Rockler/Insty-Drive exclusive Insty-Driver. You�ll get perfectly centered pilot holes for accurate hinge and hardware installation..
No need to panic with our hands-free panic button. Just bump the "Stop Paddle" to quickly shut off power. Large, bright paddle is easy to find when you�re in a tight spot. Locate it near your hip or k..
Measure accurately down to the nearest 1/64'' with a Hook Rule! High quality rules are made from hardened and tempered stainless steel and have an adjustable hook that may be used on either side. Use it to measure dimensions from the edge of any board. Precision etched for long life and readability, each rule features 1/8'' and 1/16'' increments on one side, 1/32'' and 1/64'' on the other. Packaged in a protective vinyl sleeve.